Hello and welcome to my blog. 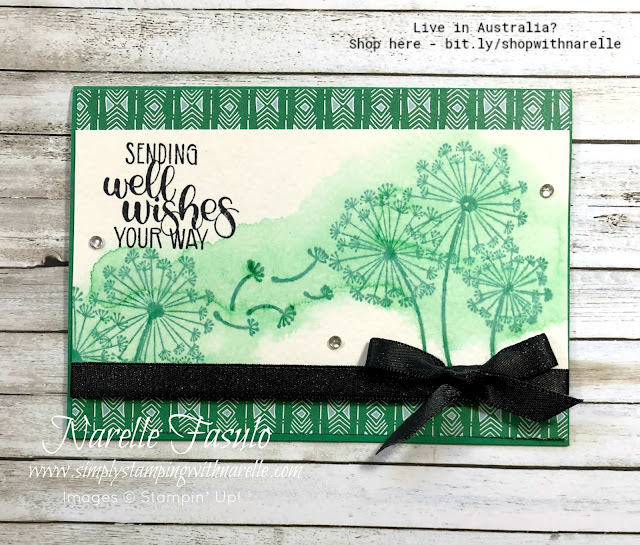 Today I have a simple and easy card to share with you that uses the gorgeous Dandelion Wishes stamp set. I know I featured this stamp set yesterday as well, but it is my product of the week this week, so I have used it again. Every week I feature a product and have an accompanying special. This week, until Sunday 23rd September, if you purchase the Dandelion Wishes stamp set, I will send you a pack of Stampin' Spritzers free.